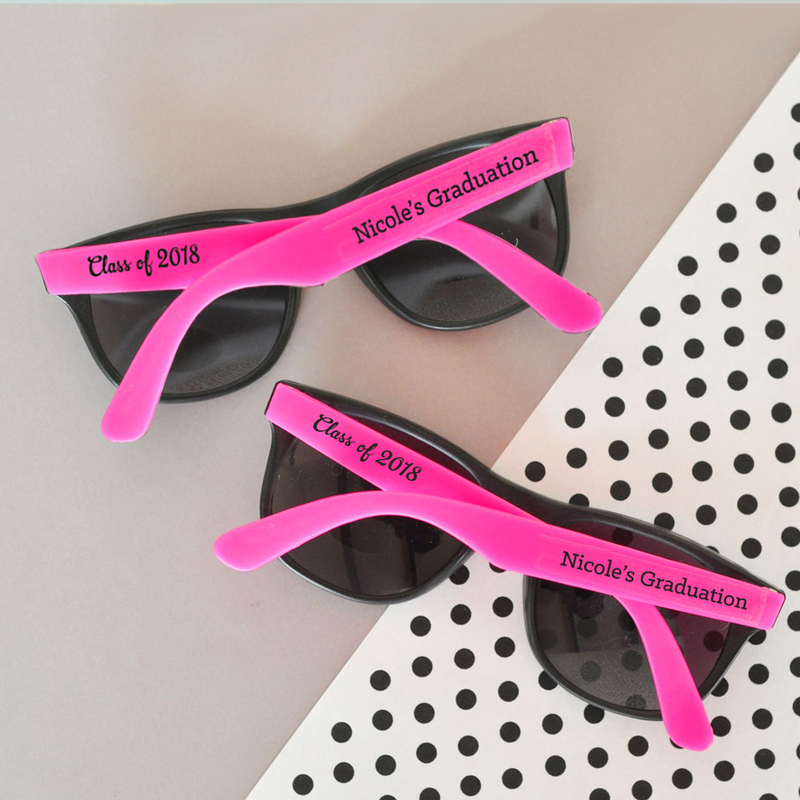 These super cute, hot pink and black Wayfarer style graduation party sunglasses are personalized with clear labels (affixed separately) with your choice of custom text and imprint color. These hot pink and black sunglasses feature a black plastic front frame with hot pink temple arms. Each UV400 rated sunglass favors come with personalized clear stickers printed with 1 line of block text and 1 line of script text. Set your sunglasses out in a basket for guests to grab during your graduation party to take home as souvenirs. Don't forget to set out an adorable sign that says "Here's to a bright future" for instant Pinterest worthy decor. affixed to each pair of sunglasses.